'Tis the season for farmers markets! All over the country, vendors will be peddling their yummy goodies at stands, and if you're not in on the action, shame on you. You are missing out on the cream of the crop (no pun intended!). Even at the smallest of farmers markets, you want to be comfortable and stylish. At most markets, you'll be exposed to summer's elements, which usually means sun and heat. Here's the perfect outfit to keep you cool, comfortable, and cute while you browse for the best local goodies your area has to offer. Maxi Dresses are the perfect way to beat the heat. They are light and airy and come in all colors and styles to suit all tastes. A flat sandal is a must! Depending on where your local farmers market is held, you may be walking on uneven ground, stones, or a paved surface. Keep your shoes flat to avoid any injuries. A large tote is essential. Most vendors do not provide bags for your purchases. Bring an oversized bag to tote all your goodies around. A wide-brimmed hat and a pair of sunglasses will protect your hair, skin, and eyes from the blinding sun. Simple jewelry, such as a ring or a bracelet, is the icing on the cake. It's a great way to balance a simple maxi dress. 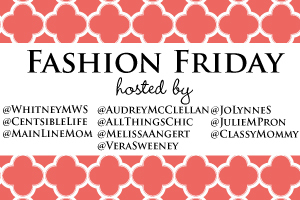 For more fashion inspiration, be sure to check out the other Fashion Friday participants, including Jo-Lynne from Musings of a Housewife who is featuring 5 Fab Beach Bags Under $50. Any of her featured bags would be perfect for a trip to the farmers market!